Julian Rochester seems to have worked himself out of hot water after being arrested in April for damage to his dorm room after shooting a BB-gun. At Monday’s press conference, Georgia head coach Kirby Smart said Monday that there’s no reason to sit him for the opener. “Why wouldn’t he play?” Smart said. Smart gave a concrete answer for the first time since the arrest on the potential of a suspension, and for good reason. Smart’s most recent comment would indicate that the case has been resolved. The charges were originally said to be felonious, and Rochester would miss games. However, the expectation is now that the charges have now been reduced to a pre-trial diversionary program, and Rochester wouldn’t be slated to miss games. Georgia athletic director Greg McGarity addressed the situation directly to Chip Towers of the Atlanta Journal-Constitution. While McGarity isn’t currently aware of results of the entire case, he said Rochester has met disciplinary requirements set forth by the university and the athletic department. “After they reviewed all the facts, they forwarded a recommendation to me and that was that he not miss any games,” McGarity said. With the legal issues being behind Rochester, Smart applauded his efforts throughout preseason camp. Although he implemented one of his most commonly used responses, Smart looks for Rochester to play a key role this season. Rochester is bracketed with fellow freshman David Marshall, and listed behind sophomore starter DaQuan Hawkins-Muckle at the defensive end position. 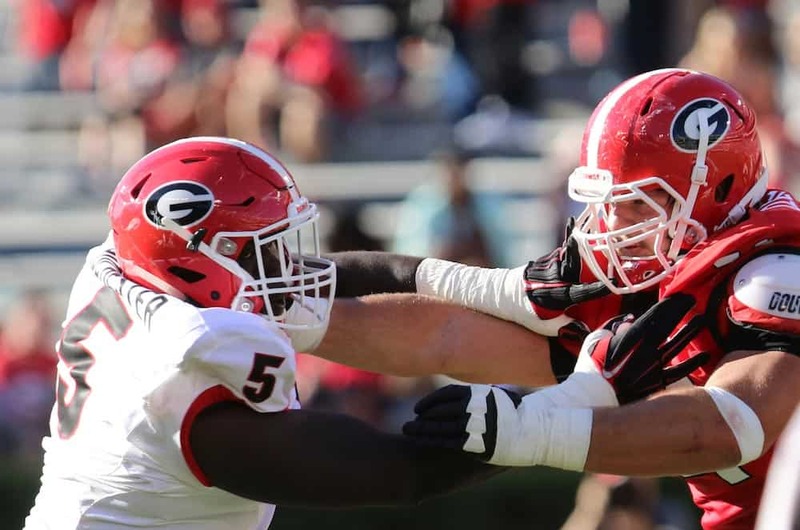 Needless to say, Georgia needs all of the help possible along the defensive line, as the depth at these positions is nearly non-existent. Georgia is dealing with the absence of sophomore Jonathan Ledbetter, who is suspended due to a third DUI arrest, and sophomore Chauncey Rivers who was dismissed from the team.